The Moses Mabhida Stadium is very proud and honoured to have its very own boxing champ, George Mdluli. After months of struggling to find an opponent, George Mdluli’s promoter finally managed to get someone that was willing to fight him and it had been some time since his last boxing match. The brave opponent that welcomed the challenge was Johannes Sallie from Cape Town. Unfortunately, when it came to the day of the boxing match, George proved that he didn’t travel all the way to Cape Town to play games but to conquer and take the trophy back home. 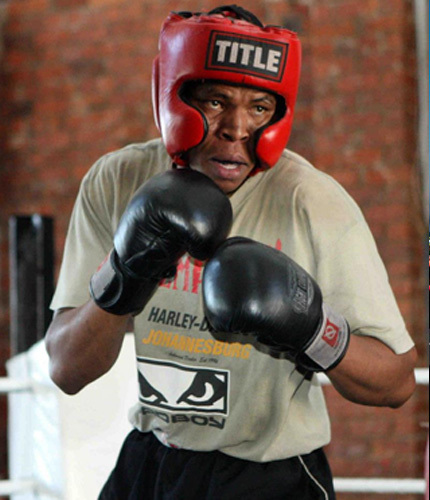 Before the match, George was ranked number nine (9) on Boxing SA Official Ratings, but now he is ranked number three (3) and he is one of the three new prospects that have come up in the last two months, who may produce the much needed action in the Junior Middleweight division. Well done George, the entire MMS team is proud of you!